In a new column about nations that are tourism pariahs today but have the attributes to become stars of tomorrow, BTN looks at the potential of Zimbabwe. Blessed with one of the world’s great natural wonders in Victoria Falls as well as incredible game safaris, Zimbabwe’s tourism industry once represented the pride of Africa. During the halcyon years of the 1980s, the arrival of legacy carriers such as Qantas and Lufthansa, coupled with the construction of stylish new hotels, catapulted Zimbabwe into the ranks of the tourism premier league. Travel and tourism became the country’s fastest growing industry, reaching a peak of 1.4 million visitors in 1999. The Mugabe government lent the industry its full support, viewing tourism as force for change with the potential to benefit both rich and poor. The sector made up 6 percent of the country’s GDP and generated $400m yearly in foreign currency earnings. But the launch of the Fast Track Land Reform Programme in July 2000 sounded the death knell as thousands of Mugabe’s supporters began to seize commercial farms from white farmers. The travel trade imploded virtually overnight, and international arrivals plummeted to less than a quarter of the previous year, as a number of carriers including Qantas and Lufthansa quickly pulled the airlift plug. Average hotel occupancies rates had fallen to less than 20 percent by the end of the year. Entire floors at the five-star Sheraton Hotel had to be closed and workers laid off. 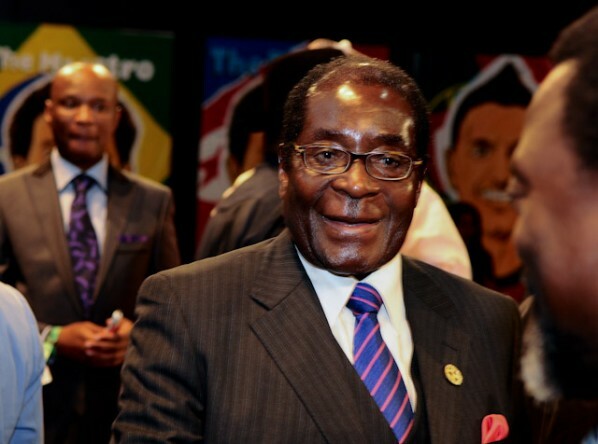 Osama bin Laden aside, there are few more controversial figures alive than Robert Mugabe. Once dubbed by Archbishop Desmond Tutu as a man who had become a cartoon figure of the archetypal African dictator, the 86-year-old president vowed that “only God” could remove him from power. However it wasn’t long ago that Mugabe was considered one of Africa’s brightest postcolonial hopes; Zimbabwe’s answer to Nelson Mandela, awarded a knighthood by Britain as recently as 1994. Born in 1924, Mugabe was educated by Irish Jesuit priests and went on to study at the University of Oxford. Though he initially trained as a teacher, he returned to his native Southern Rhodesia and joined the National Democratic Party in 1960. He became interested in the ideologies of the Pan Africanist Congress in South Africa, Maoism and the African National Congress. Mugabe was arrested and imprisoned in 1964 for opposing white rule in the former British colony of Rhodesia. He spent the next 11 years in Salisbury prison, and was not even allowed out to attend the funeral of his four-year-old son. During his stretch inside, he earned three degrees by correspondence courses, including a law degree from the University of London. On his release in 1975, Mugabe led the Zimbabwe independence movement, becoming Prime Minister of the newly-named Zimbabwe in 1980. In his early years, he quickly established a reputation as a progressive, postcolonial hero. He built schools, hospitals and roads and promoted peace and international trade. But as his power grew, he became increasingly intolerant of opposition. In the early 1980s, his special forces slaughtered some 20,000 Ndebele tribespeople who supported a rival. He also spent lavishly on houses, flash cars and military operations. In 2000, he encouraged the seizure of land from white farmers, which led to the decimation of the once thriving agricultural sector and forced millions of Zimbabweans to become dependent on food aid. Hyperinflation soon kicked in and foreign sanctions imposed. All the while, Mugabe continued to paint himself as an African liberator, calling Western nations “neocolonialists” striving to “keep us as slaves in our own country.” Even as the UN condemned the political violence and the UK revoked his knighthood, Mugabe remained aloof, and unaware of the plight of his nation. With Mugabe now aged 86 and reported to be losing his battle against cancer, his grip over the nation is finally loosening. The UK Foreign and Commonwealth Office no longer has official alert warnings against travel to the country, and a number of other nations including the US have also lifted restrictions. According to the WTTC, Zimbabwe’s tourism economy is set to grow 9.2 percent this year, the fourth highest in the world. The influential travel and tourism body also predicts that Zimbabwe will continue growing at 8.2 percent per annum over the next decade. The last couple of years have seen a marked improvement in the roads and food is now plentiful, thanks to the introduction of the American dollar as the currency. Even more than shaking off the stigma of the Mugabe regime, the biggest challenge facing the country is the limited financial resources to improve the product that is available. 1. Victoria Falls is the adventure tourist mecca of Africa. You can bungy jump or abseil into the gorge, go white-river rafting, paragliding or even basejumping. But perhaps the greatest joy is to stand back and stare in awe at one of the world’s great natural attractions. 2. The Mana Pools National Park stretches across 2000km² of prime Zambezi riverfront vegetation, much of which is inaccessible except on foot and as a result is completely unspoilt. The landscape includes islands and sandbanks fringed by dense forests of baobabs and indigenous trees. The park is home to magnificent and enormous elephants that return year after year to the same places. Big, beefy black buffalo are always about and predators like leopards, lions and cheetah are seen regularly. It is also a haven for Nile crocodiles and large hippo pods as well as several black rhino. 3. Eastern Zimbabwe is a land of mountains, including the Eastern Highlands which stretch along the border with Mozambique, offer a refreshing strip of mountain country that is picture postcard Africa of old. The 47,000-hectare Nyanga National Park features Zimbabwe’s highest peak and Africa’s second highest waterfall, while the breathtaking Chimanimani National Park is a hiker’s paradise. 4. 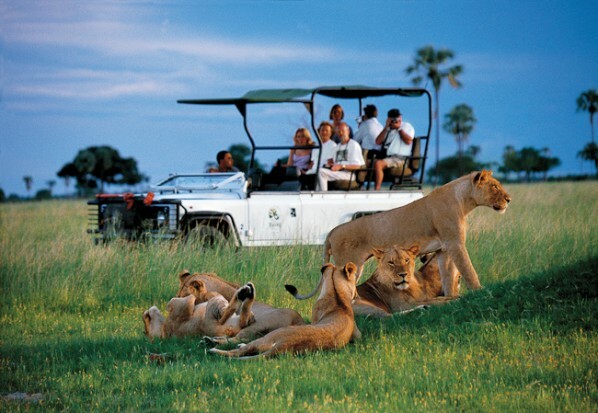 Hwange National Park is one of the easiest parks to reach and wildlife viewing is good, especially during the dry season (September and October), when animals congregate near waterholes. It has one of the largest herds of elephants in the world. To really immerse yourself in the park’s wild environment, try a walking safari in the more remote parts of the park.